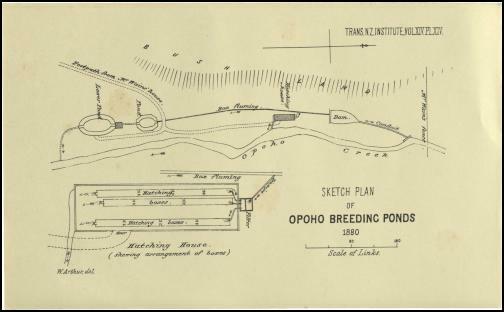 NOUVELLE ZELANDE – Otago - The New Zealand Historic Places Trust (NZHPT) will excavate the original Otago Acclimatization Society fish hatchery ponds in Opoho Creek, Dunedin. It was from these ponds that the ancestors of today’s thriving brown trout fisheries originated. The two rock lined ponds, built by the Otago Acclimatisation society in 1868, were rediscovered by members of the Mountain Bike Club in January 2011 when installing the new mountain bike track up the Opoho Creek valley. The site has since been investigated by the NZHPT Regional Archaeologist Dr Matthew Schmidt and on Sunday the ponds will be further uncovered as part of a joint project between Fish & Game, NZHPT and the Otago Mountain Bike Club. PEROU – Huamachuco -Another day, another archaeological discovery out of northern Peru. This time, however, the discovery wasn’t made by a team of specialist investigators at a dig. 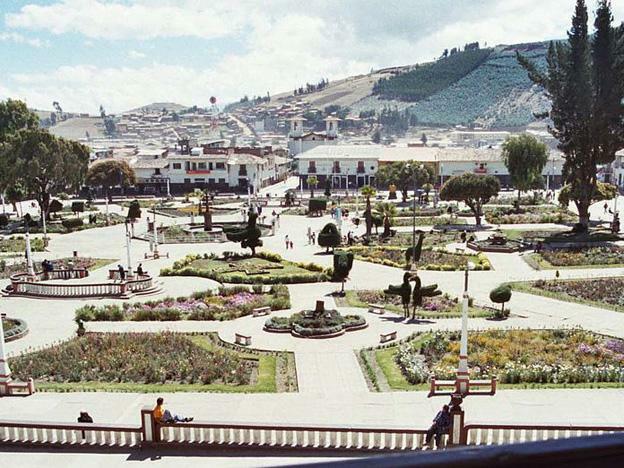 In fact, the find was made by municipal workers working on landscaping in the Plaza de Armas in the city of Huamachuco, and it was completely by accident. According to Andina news agency, landscapers in Huamachuco discovered an ancient canal under the Plaza when they started to dig hole to plant trees in the area. Local authorities from the Ministry of Culture were alerted as to the find, and the site is now under their protection and will be submitted to further investigation. Preliminary inspection of the site has revealed little as to specifics of its use. However, Marco Rosas Rintel, one of the local cultural authorities, told Andina, “What we’re dealing with is a subterranean tunnel that may have formed part of the distribution and storage system for water in the ancient human settlement in Huamachuco. The find is significant, as it was made in a plaza that we know is of Inca origin. However, we still have to carry out further specific tests to determine how old the canal is.” Andina reports that the canal will have to be partially restored, as some accidental damage was incurred in its discovery. Authorities hope that investigation will clarify the canal’s age and purpose. The Marcahuamachuco archaeological site is located about 30 minutes from the city. FRANCE – Ensisheim -La fouille de la première tranche de la ZAID de Ensisheim – Reguisheim, au lieu-dit Reguisheimer Feld, (juin et juillet 2013) a permis la découverte de plusieurs fosses de combustion de l’âge du Bronze final (RSFO). L’une d’entre elles (st. 76) présente un plan peu ordinaire : carrée, elle recouvre en partie une fosse à combustion plus ancienne de forme rectangulaire. Ces fosses sont aménagées parallèlement à un paléochenal, probablement encore actif au début du premier millénaire avant notre ère. 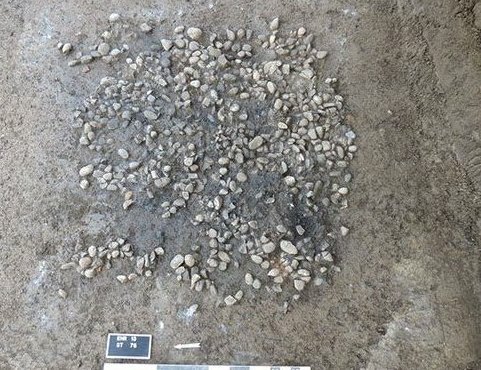 Des réseaux de fossés et des bâtiments agricoles (greniers aériens à quatre poteaux) ont également été repérés, appartenant à un établissement rural de La Tène finale. Cette découverte fait suite aux fouilles de 2000 (Antea-Archéologie) et 2002 (INRAP) au sud de celles de la ZAID. Des structures de La Tène D1 et de l’époque augustéenne appartenant à une ferme indigène y ont déjà fait l’objet de recherches. Les fossés et bâtiments mis au jour en 2013, complètent aujourd’hui la vision de la campagne à l’époque gauloise à l’ouest de la ville d’Ensisheim. 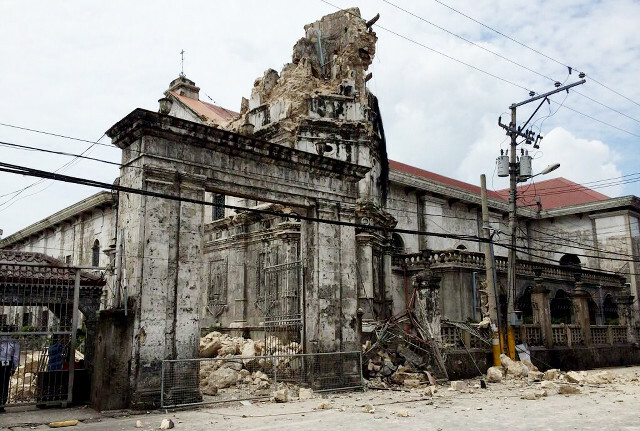 PHILIPPINES – Bohol – Cebu - Some of the oldest churches in the Philippines fell to the force of a 7.2-magnitude earthquake that shook Bohol, Cebu and other parts of the Visayas and Mindanao on Tuesday morning, October 15. According to Heritage Conservation Society, at least 10 churches were damaged by the quake. They include: Church of San Pedro Apostol, Loboc, Bohol / Church of Our Lady of Light, Loon, Bohol /Santissima Trinidad Parish, Loay, Bohol / Church of Our Lady of the Immaculate Conception, Baclayon, Bohol / Church of Our Lady of the Assumption, Dauis, Bohol / San Nicolas Church, Dimiao, Bohol / Santa Cruz Parish Church, Maribojoc, Bohol / Basilica Minore del Santo Niño, Cebu / Cebu Metropolitan Cathedral, Cebu / St Catherine's Church, Carcar, Cebu.